Medication cassette for e-pill CompuMed Automatic Pill Dispenser - the Tamper Proof Medicine Dispenser (does not fit any other Automatic Pill Dispenser). 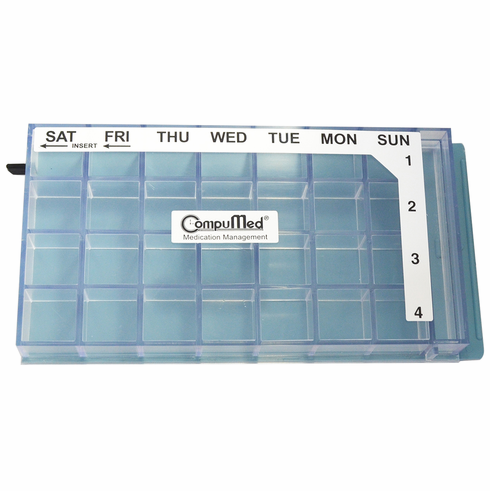 Order spare trays for your e-pill CompuMed to fit the patient's prescription refill schedule. Medication cassette may be filled remotely and be sent to the patient's home or unit. Capacity: 1 Week | Each compartment (cavity) holds 25 aspirin sized tablets.